We’ve noted that many people come here after searching for information on pergola permits. 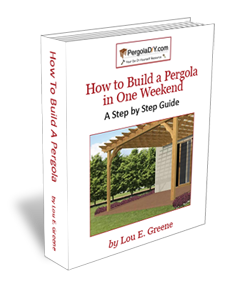 It is also a topic frequently listed when customers take our survey so we thought we would highlight a few tips on how to get to the answers you need in your area so you can get started building a pergola. Caveat: We are located in the United States and the majority of our customers are too so our knowledge is limited to here. If a building permit is needed to install a pergola, it will be issued by your local CITY planning department. Not state, it is the city. So yes, there would be different requirements even within a state. Houston residents would go through a different process and through a different office than Dallas residents for instance. Found my city site – now what about that pergola? While each city site is different, every one we have had to research has a handy section that the one above just for Home Owners. They also all have that handy Contact Us tab and also list their quick reference phone number on every page, but just in case you aren’t quite yet ready to pick up the phone, check out your city’s version of the Home Owners page. For San Diego it brings you right to a fabulous summary of Construction Permit Tips. On this city site, the answer to our pergola question is generally covered in the When Do I Need a Permit section – one is required for all new construction on the premises. “For projects such as routine retaining walls, patio covers or carports, the city has standard specifications that can be followed within certain limitations. Those specifications, together with a plot plan showing your project, are accepted by the department as plans. That gives us the answers we need for San Diego. Yes, a pergola permit is needed. And now we know who to contact and where to go to the forms to get started. NO PERMIT is required for the following: Erection of patio covers (pergolas) with an area less than 200 square feet on single-family or duplex premises -may not be within a front yard setback or side yard setback area. Two things to note here: MOST pergolas, even some larger ones would be OK to build WITHOUT a permit. However, there is mention of a setback rule which also needs to be checked out if you decide to build a detached pergola somewhere out further in your yard. A setback means that those spaces must remain totally unobstructed. In other words – it’s complicated! Yes, it is a bit of a challenge to determine the regulations around building a pergola in your area. However, these searches only took a few minutes. 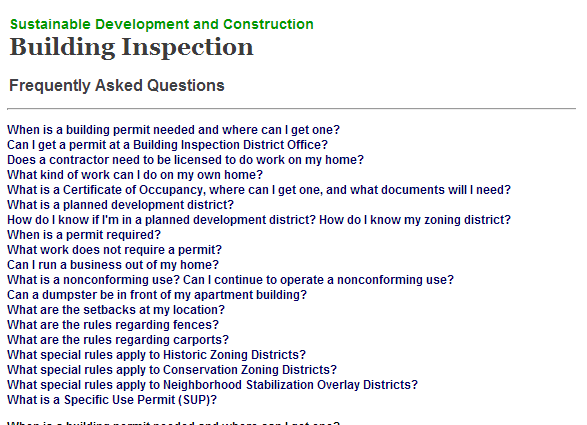 Read through the guidelines on your city site and we are sure most of your questions will be answered. Always be mindful of Homeowner’s Association rules too because those apply in addition to city rules. Still, it is best to take the time to check everything out first because you definitely don’t want to go all the way through building a pergola only to find out you are in violation of something. Not only could you end up paying a lot more after the fact in fines and penalties, but you might even have to take it all down! In our experience, once you are clear on the permitting rules, it is very easy to comply and trust us, there wouldn’t be all those beautiful pergolas popping up in your neighborhood if they were too much of a hassle to build!